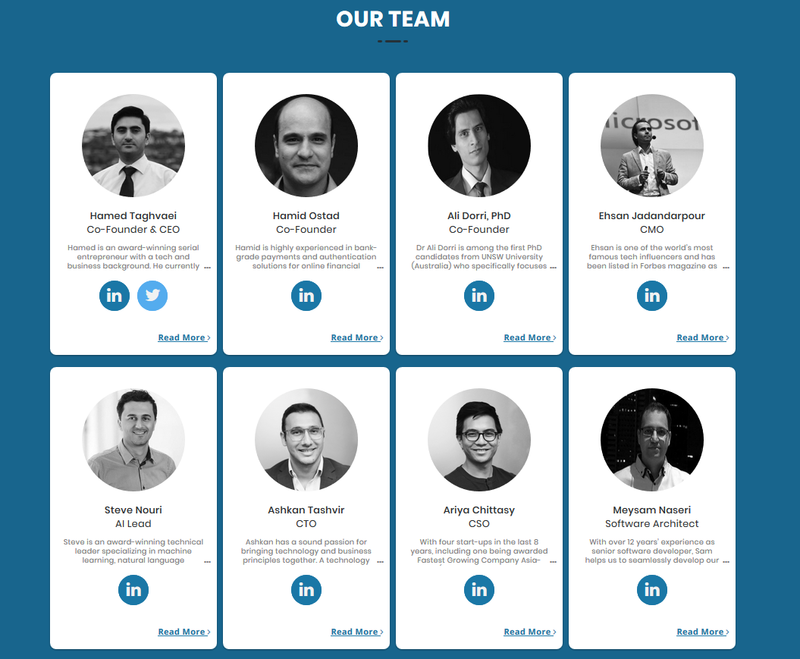 While currently there are several applications and individual blockchains individually are running to facilitate cryptocurrency payments but still there is no comprehensive protocol or platform to resolve the key problem in cryptoeconomy, AgateChain is a complete set of a decentralised blockchain, with two mobile apps, a fiat pegged ecosystem, an API Suite, plug-ins, add-ons and a physical POS terminal and operating with multi coin mechanism and works as a comprehensive crypto infrastructure for everyday banking and a gateway to connect millions of developers, users, and in-store and online merchants to the cryptoeconomy. 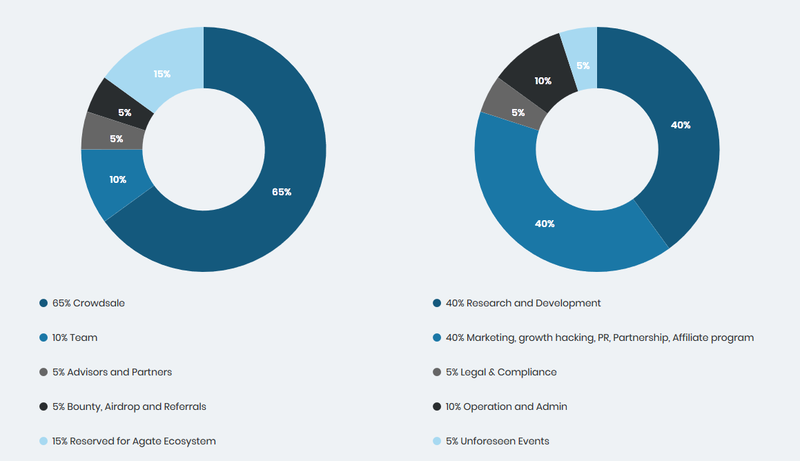 It consists of several modules and objects, all fueled by AGT token that has over ten sustainable utilisation and revenue streams. 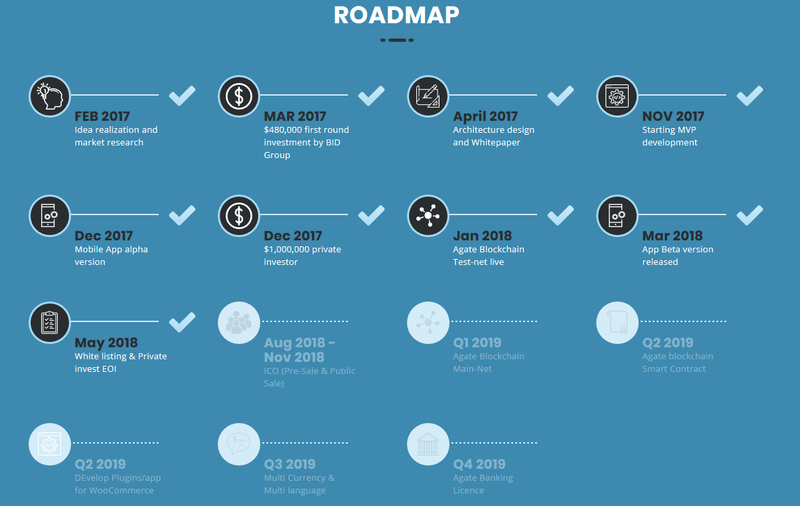 The important point to note about Agate is that most of its modules are already built and working or have Beta versions and will complete shortly after ICO. 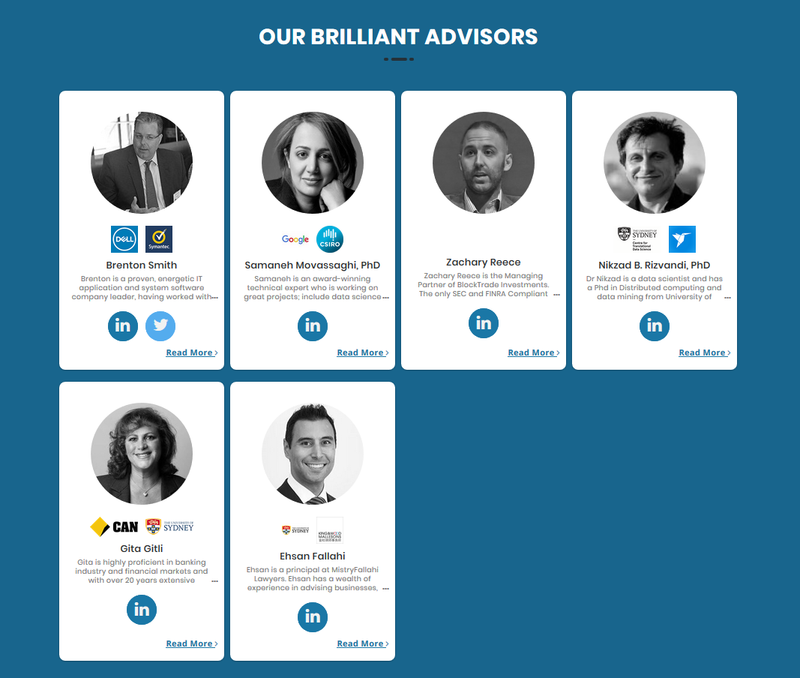 Lack of comprehensive solutions that can support all aspects of a true cryptoeconomy. Shortage of white label solutions to allow developers to build their own DApp or DAO on a strong, reliable infrastructure. Slow speed and high transaction fee and exchange rate. Expensive and environment unfriendly mining method Proof of Work (PoW). The number of merchants accepting cryptocurrency in comparison to the total number of traditional merchants is very low. Lose the value of users’ crypto assets in poor exchange markets. Slow transaction speeds, taking from a few minutes to days to settle a transaction. Managing several different coins and tokens that need different wallets. Merchants are unsure which currencies to accept. Business suppliers may not use cryptocurrency. Slow transaction settlements; many providers take days to pay the merchants. 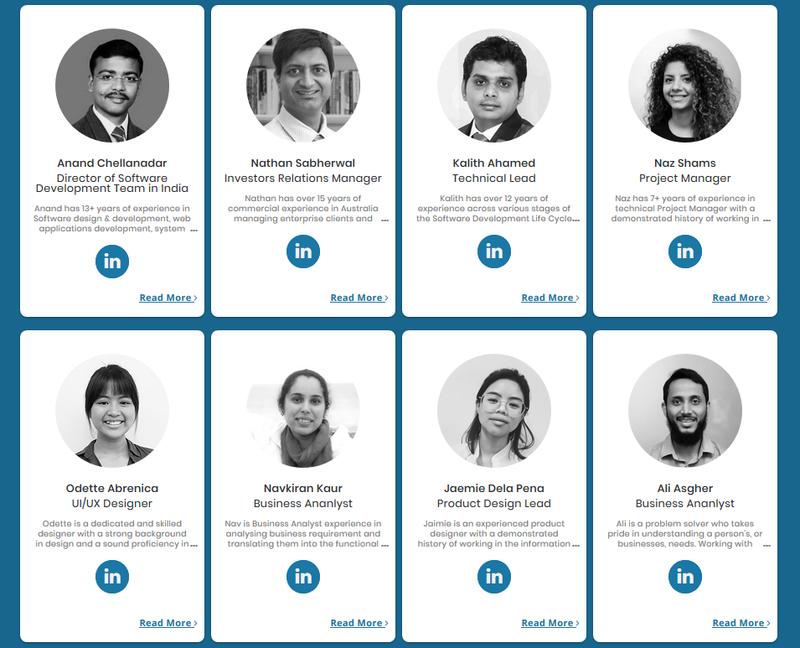 Agate considers all aspect of a true cryptoeconomy in its 12 functional modules. 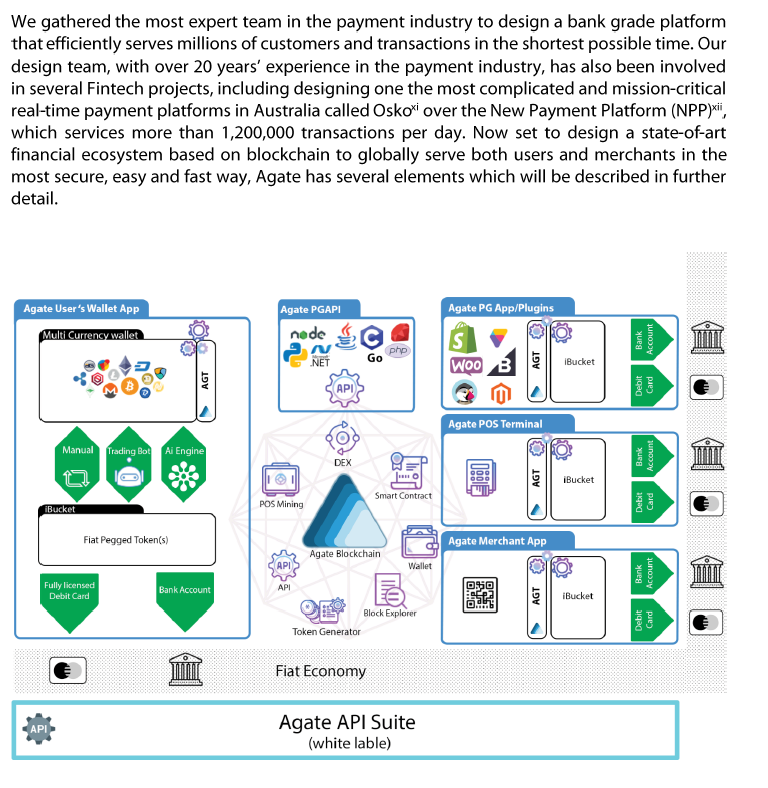 Agate API Suite will let all users express their innovation and improve the cryptoeconomy. 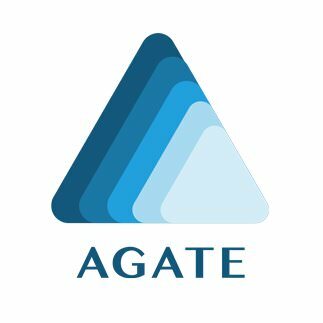 Agate blockchain work with Proof of Stake (PoS) mining, which has lowest impact on environment. Agate can integrate with almost all the existing in-store merchants or e-commerce websites globally. By enabling optimal transfer of user’s Bitcoin, Ethereum, etc. to iFiat through an automated AI bot, users get the best spending value for their crypto assets. By introducing a new blockchain with near-instant settlement speeds, the practical application of the Agate currency is immense. Agate currently accepts five most important cryptocurrencies: Bitcoin, Bitcoin Cash, Ethereum, Ripple and Litecoin, and we plan to increase the total number of coins to over 17, making the choice to transact via the Agate platform an easy one. Merchants would receive the exact dollar value every time. By allowing transactions back to cash, merchants are assured that they can transfer to fiat money quickly for everyday use in their business. 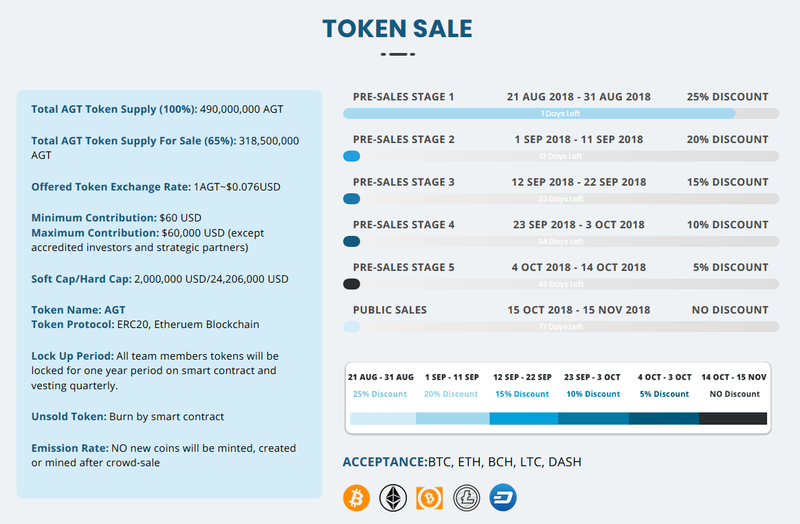 In the Agate iFiat Ecosystem, all funds are immediately available and spendable for merchant.